In his Letter to a CES Director, Jeremy Runnells marvels that, according to “unofficial apologists” (what is with the need to implicitly discredit anything not “official” anyway? ), “horses aren’t really horses (they’re tapirs)” in the Book of Mormon. Kevin Christensen has already pointed out that this assertion actually flattens the nuance found in the essay Runnells uses to make this claim, including the tentative evidence for horses in America. In the past, I have reviewed the work of Dr. Wade Miller, a geologist and paleontologist who has tested several pre-Columbian horse specimens which appear place horses in the New World around Book of Mormon times. 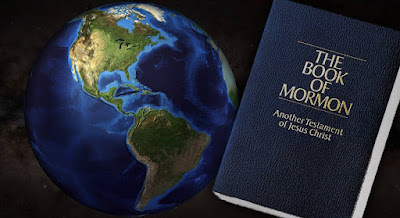 This evidence is inconclusive, but demonstrates the kind of openness that remains part of the horses/Book of Mormon discussion which gets glossed over by Runnells and many others. No apologist is half as rigid as any ex-Mormon about horses being tapirs. The ex-Mormons talk about it incessantly. It is all just a big joke to them. Interestingly, however, according to David Bolles, on the Foundation for the Advancement of Mesoamerican Studies, Inc. (FAMSI) website, the first definition of the Maya term tzimin is tapir. Yet, “After the conquest [tzimin was] also applied to the horse.” And why did the Maya call horses tapirs, exactly? “The Mayas call the horse tzimin from its fancied resemblance to the tapir.” If you are the kind of person who scoffs at the “apologists” association of horses and tapirs, read that sentence again. This is what linguists and anthropologists call a loan-shift, and it is ridiculously common whenever different cultures come in contact with each other. If you are American, like me, odds are you are oblivious to the fact that you use loan-shifts like robin, elk, buffalo, and corn on a regular. In this case, the word for tapir was barrowed by the Mayans to describe horses, which they had no word for. As Pedro Olavarria (from whom, I must confess, I got the FAMSI reference) points out, “Is it really that strange to ask if the reverse was done by the Nephites?” When Lehi and his party arrived, they didn’t have a word for tapir (or any other of the many exotic species in Mesoamerica). Could they have “fancied [a] resemblance” between it and the horse, like the Mayans did centuries later? Of course, one need not assume the Nephites held onto labels that Nephi chose at the beginning. We know that their language changed, as per Mormon 9:32–34. What if, in fact, the “horse” in the Book of Mormon is not the reverse of the loan-shift, from tapir to horse, but was the loan-shift from tapir to horse? That is, what if, hypothetically speaking, the plates said tapir. Or, more precisely, they said tzimin, the Nephites having adopted the local term into their vernacular. 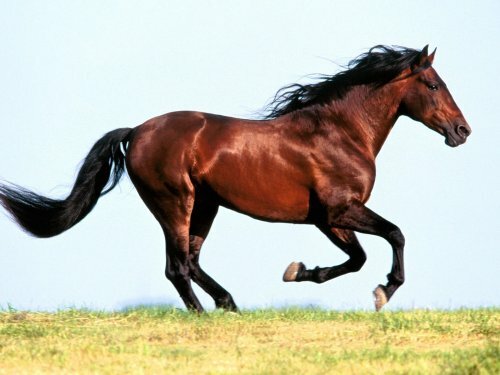 Then, Joseph Smith translated it as horse. Would this be an “inaccurate” translation? Before assuming yes, remember that in 1829—when the translation was made—horse would have been an acceptable translation of tzimin (as it is today). I do not presume to know if Book of Mormon horses are tapirs. Given that known cultures have used the same label for both horses and tapirs, however, I find the suggestion entirely reasonable. One could, if they wished, ask, as some critics amusingly ask about horses or cows, “When is a tzimin not a tzimin?” Why, when it’s a horse, of course. Could you give us any examples of tzimin being ridden? I just want to know if they could be ridden into battle, or pull a chariot without wheels. Could you give me any examples of horses being ridden in the Book of Mormon? Take your time. I'll wait. Joseph translated by putting a rock in a hat and dictating the words that appeared. God would not allow him to move on until the translated wording was absolutely correct. If you believe the description of the translation process, then there is no way God would have allowed him to write horse instead of tapir. This notion of iron clad control over the translation process is common in the (very late) primary sources, but not borne out by careful analysis of the remaining portion of the Original Manuscript. There were clearly transcription errors that went uncorrected. The physical manuscript evidence trumps the late eyewitnesses. As to whether "there is no way God would have allowed him to write horse instead of tapir," this assumes things about (1) the nature of translation in general; (2) the Book of Mormon translation process specifically; and (3) kind of translation God would reveal. I don't share in the assumptions upon which your assertion depends, and therefore reject your assertion. You are welcome to try to pursuade me otherwise, but my views have been developed over the years of studying the primary sources (both eyewitness statements and the physical, manuscript evidence), scholarly analysis of those sources found in several books and articles, my own personal experience trying to translate ancient documents written in a dead language, and my many personal experiences with God and how operates in the human lives. So you are going to have an uphill battle. One thing you omitted that I think is important to mention is "Dr. Wade Miller" is also an apologist for FAIR (or at the very least has given a presentation at a FAIR conference). I'm not an academic, but I do wonder if that is a valid assertion to make. Give your position, I'd would think you'd want to pick research from someone who is completely unbiased. One thing I learned while working toward a history degree at a non-religious, state institution, from several non-Mormon professors, was that "completely unbaised" is a nice myth that has been debunked just about a billion times. There is no such thing. And, in fact, I was urged to be suspicious of those who professed objectivity. They either have an agenda that they are oblivious to, or are deliberately hiding, and neither case is a good sign. As for Dr. Miller, I should think that following the link to my review would make it pretty obvious he is Mormon. While I do tend to (but don't always) make it a point to identify the non-Mormons I quote from on this blog, it would get pretty tedious to point out every time I am citing a Mormon. I figure most people are smart enough to figure it out. In any case, though, Dr. Miller's work involves carbon dating horse bones. It is hard to argue with carbon dates. But... Dr. Miller's work is hardly the point of the post anyway. This post is more dependent on the FAMSI link. FAMSI is one of the top online sources for Mesoamerican research, and it is not run by Mormons, nor is David Bolles a Mormon. Guys, give it up. It's over... debunked... either stop thinking and have "faith" or leave the church. No apologetics will ever justify the behavior of Smith and Young any better than it will justify the behavior of Jeff's. This has nothing to do with the subject of the post. 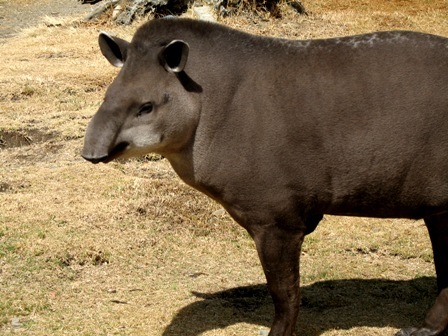 Even if we stretch our minds to think that tapir = horse, what about all of the other animal anachronisms in the Book of Mormon, like elephants, cattle goats, and honey bees? What about the presence of steel, barley, and wheat? I know you probably mean "stretch our minds" in a negative scene, but I find that anytime I am trying to understand a new subject, I must stretch my mind. It is an inherent part of learning. (Have you ever really learned something without stretching your mind?) Coming to understand different cultures, especially those of the ancient past, always force me to really stretch. As I have gained more experience as a history student, however, I've found it gets easier the next time. The point of course being, once someone has accepted that loan-shifting is a legitimate possibility, what is the problem? Surely the Lehites wouldn't have just loan-shifted horse for tapir. They didn't have words for any of the new and exotic species found in Mesoamerica, and would have needed to loan-shift for all of them. Plants and materials can be loan-shifted too. Not saying that loan-shift is the explanation I prefer for every item on your list (I am quite certain you know where you can go to read about each of them, so I see no point in going in to them here), but the point is, once we have learned to think differently about a problem, we can start to see the entire sub-set of related problems in a whole new light.